When a sole owner takes on a football club, sinks a pile of their own money into it and doesn't see much of a return, many would accuse them of being mad. With the glamour involved in owning a football club, and some owners treating this ownership as a vanity project to boost their already staggering egos you wouldn't be wrong in accusing some of these individuals of not dealing from a full deck. 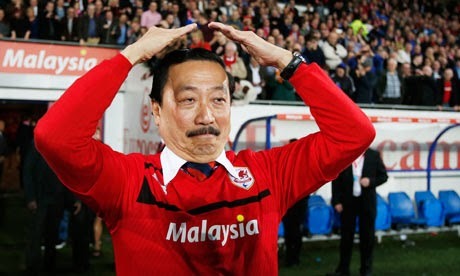 Cardiff City owner Vincent Tan, the Chairman and Chief Executive of the Berjaya Group, which consists of a wide range of businesses including property investments, luxury resorts and gambling, quickly made himself a notorious figure in the Welsh capital upon purchasing the club in 2012. The Malaysian businessman rebranded the clubs traditional blue kits to red and changed the clubs badge to include a dragon, so it had more appeal in foreign markets. Cardiff’s fans were understandably furious. 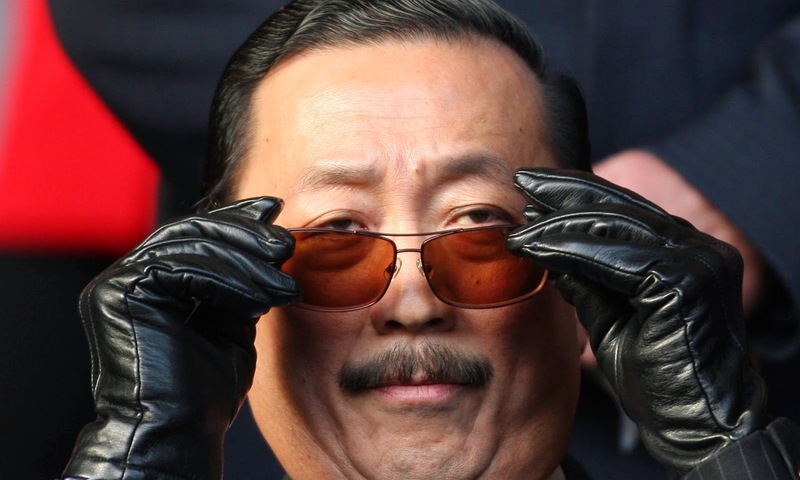 Tan also replaced the head of Cardiff’s player recruitment with a 23 year old co-op student who was a friend of his sons, who was later found to have visa issues. He also quite publicly hammered club manager Malky Mackay for his transfer dealings and Cardiff's on pitch performance. After trying to force Mackay to resign, and thus avoid having to give him a payout, he ended up sacking him in December of 2013. Manchester United legend Ole Gunnar Solskjaer was brought in as a replacement, but was unable to save Cardiff City from relegation from the Premiership. Leeds owner Massimo Cellino hit the headlines recently when he ordered manager Dave Hockaday to not select keeper Paddy Kenny because of his birth date. Cellino, believes the number 17 is an extremely unlucky number and went as far as to replace any seats numbered 17 at his former club Cagliari’s ground with seats 16B. When he found out that Kenny’s birthday is May 17th, it was curtains for the big veteran at the club. Apparently, Cellino’s superstition came about as a result of Cagliari seemingly always losing fixtures on the 17th day of any given month. 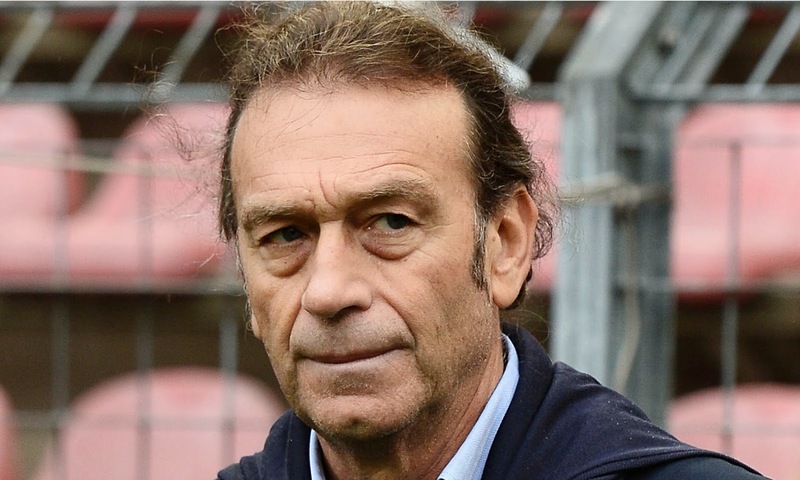 The Italian entrepreneur experienced difficulties when taking over Leeds United in January, 2014 after he failed the Football League’s ownership test, thanks in large part to two prior convictions for deceiving the Italian Ministry of Agriculture out of a reported £7.5m and for false accounting at Cagliari. He appealed the decision and was eventually able to take over the once great club. He immediately sacked and then re-hired manager Brian McDermott, before finally deciding to end his spell for good at the end of May. Cellino also holds a deep mistrust in the colour purple, not the film with Whoopi Goldberg but the actual colour, and has asked Leeds fans to refrain from wearing it to matches. Zdravko Mami, the Coatian giants intimidating owner might just be the craziest of the bunch. 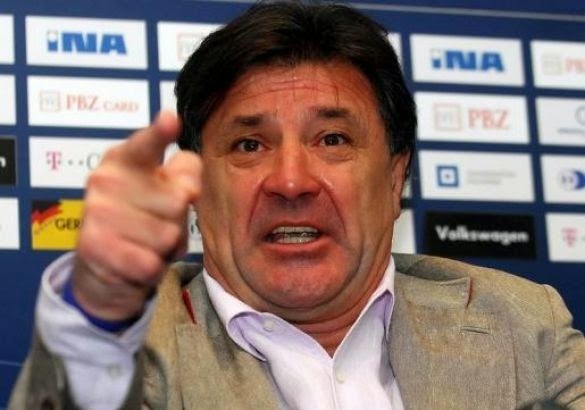 During his time at the helm of Dinamo he has been arrested after verbally attacking the Croatian Minister of Sports, Science and Education on the radio, he has punched a Croatian FA director, broke a city official’s hand with a pair of crutches, and assaulted a former Dinamo director and chased him until the poor guy had to escape over a fence. He has also attacked journalists on numerous occasions and once forced one to hide behind bushes for ten minutes so Mamic couldn’t get his hands on him. The fiery owner also got into a fight with former Hajduk Split player Ivo Bego after climbing into the stands to celebrate a Dinamo win near the Split supporters. Mamic has been detained by police for his hostile behavior and also had tense relations with Dinamo’s ultra supporters, the Bad Blue Boys. 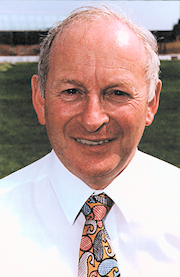 The fact that the South Yorkshire club’s former owner Ken Richardson was later described by police as “the type that would trample a two-year-old child to pick up a 2p (coin)” should tell you all you need to know about his character. Running a football club, even one outside of the Premier League like Doncaster, requires a lot of money and this was something Richardson hadn’t accounted for. He attempted to run the club as cheaply as possible, even hiring a former manager of Stockport County’s club shop to be Rovers first team manager, in one of the strangest managerial hirings ever. But this was to be the least of the damage he was to inflict on the club. After being denied by the local council in his attempts to finance a new stadium, Richardson hired two men to burn down Doncaster’s Belle Vue ground in an attempt to claim the insurance money. Unfortunately one of the arsonists, a former SAS operative, dropped his phone at the scene of the crime and it was quickly traced back to the perpetrators. Rovers were left in horrible debt and they subsequently crashed into the Football Conference as Richardson was sent to prison for four years. 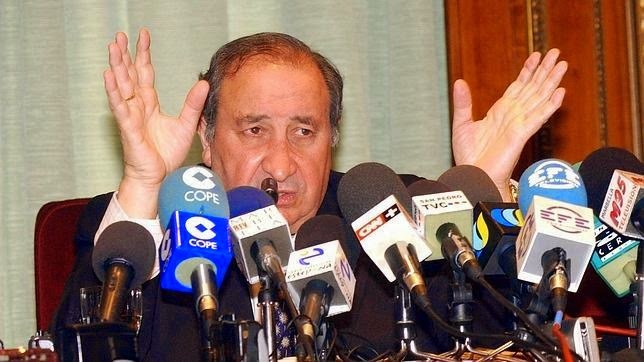 The late Spanish businessman, Mayor of Marbella, and president of Atletico Madrid was known for his extremely volatile relationship with fans, players, journalists and, most of all, managers. In seventeen years, Gil went through a staggering 39 managers as he sought to win a League title. Known for his controversial right-wing views, Gil ruled Atletico Madrid like the town of Marbella which he governed with an iron fist. He hired and fired managers, players and club staff at will, and was frequently in trouble for his sexist and xenophobic outbursts. When Atletic finally won a league title in 1996, he rode around Madrid on an elephant to celebrate their victory. With a court case hanging over him in 2004, the 71 year old Gil died from a heart failure. This seemed somewhat fitting from a man who once told a radio presenter who was urging him to calm down as he may have a heart attack on air, that “they can stick my heart up my arse".